"The US, he said, is having an ongoing conversation with the Pakistani authorities that they need to address all groups operating on their soil"
The US has asked Pakistan to co-work with India in the 26/11 examinations and have offered them to check all fear bunches working in their dirt. "We keep on urging the Pakistani government to participate with the Indian powers to completely research these assaults," State Department Deputy Spokesman Mark Toner told columnists at his day by day news meeting on Thursday. "It (Mumbai terrorist assault) was a loathsome disaster. We need to see equity done and we keep on urging Pakistani collaboration," he said. The US, he said, is having a continuous discussion with the Pakistani powers that they have to address all gatherings working on their dirt and their domain including the Taliban bunches. "We've encouraged them to do as such before. We keep on urging them to do as such and have worked with them on tending to the genuine risk all alone soil," Toner said. 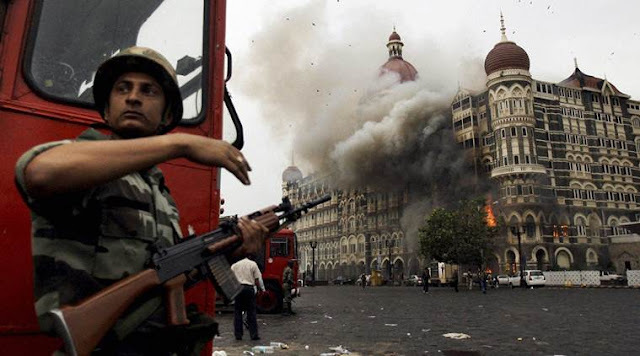 0 Response to "US asks Pakistan to cooperate with India on 26/11 probe"